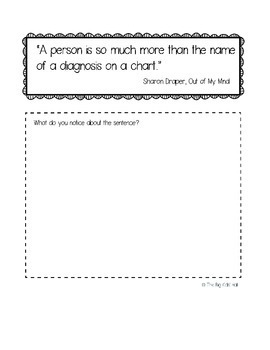 These interactive notebook pages feature nine mentor sentences from popular middle-grades books, including: Wonder, Counting by 7s, and The Westing Game. Mentor sentences offer engaging practice (Who doesn't love a good line from a favorite book?) in grammar, mechanics, literary terms, and writer's craft. 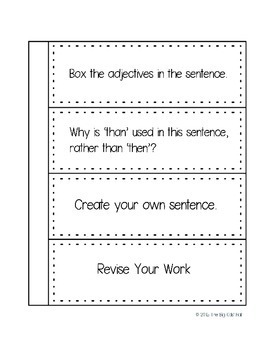 Students notice each sentence's features, examine skills the author used, and with the help of a scaffold, craft and revise similar sentences of their own. 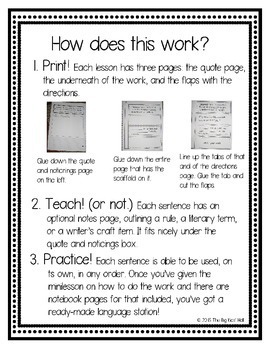 An answer key is included for the grammar and mechanics explorations. Want to try before you buy? 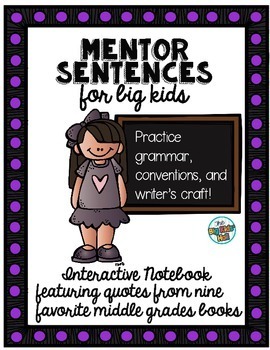 My Freebie, Mentor Sentences for Big Kids: The Geek Edition is HERE.